School Bus Driver Training School OPEN HOUSE. Stop into EZ Wheels Driving Scholl Morris County location in Dover NJ. 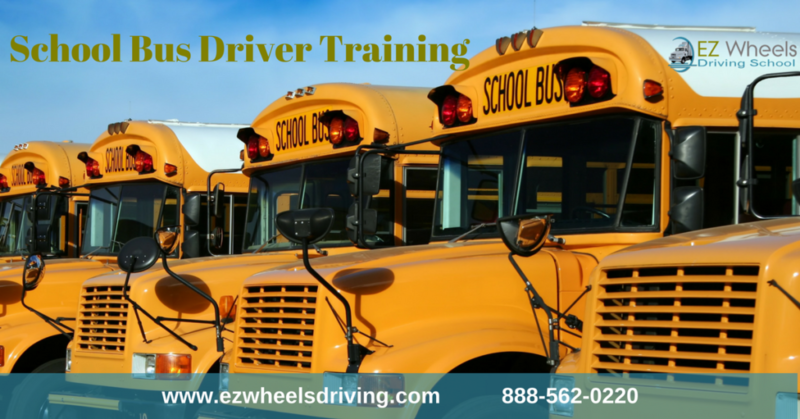 ASK to find out more about our SCHOOL BUS DRIVER TRAINING programs. Thank include 1 on 1 Training, our FLEXIBLE TRAINING schedule that includes weekends, and of course our JOB PLACEMENT program. Complete a declaration form to select DOE, Non-DOE or public transportation of school-age children. A commercial license school bus S endorsement is required for drivers transporting school-age children. Endorsement applicants are subject to background checks to drive a commercial vehicle to and from. Pass a background check; you should begin the submission as early as 90 days prior to the expiration of your “S” endorsement to make sure you will have the results of your criminal history check and Approval Letter prior to your expiration date. Non-Department of Education school bus drivers, including daycare & summer camp drivers, are not under the jurisdiction of the Department of Education. To be eligible for an endorsement, drivers must pass a state background check.